Serving the Milwaukee area for over 30 years, Larson’s Midwest Building Service offers the best in quality construction, home repair and craftsmanship! Customer satisfaction is our #1 Priority. Our work doesn’t stop when the job is done–periodic visits of the jobsite over the following years allow us to maintain the look and construction you need. It’s our integrity that we’re most proud of–our A+ rating with the Better Business Bureau is testament to our professionalism and dedication to each of our customers! 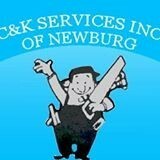 C&K Services offers a full range of services including roofing, remodeling, additions and general contracting. Our respected company helps home and business owners with minor repairs, as well as replacements to recover from natural disasters. At C&K Services, we’re here to help. Our certified team thoroughly inspects all residential and commercial projects and customizes a solution for the repair or replacement of your roof or exterior. Our team members have been specially trained and certified to assist customers with a variety of home improvement services. Home and business owners can trust C&K Services to be their local Wisconsin roofing, interiors & exteriors company. We guide our customers through the repair or replacement process by assisting with insurance claims and recovery, and satisfaction is guaranteed. 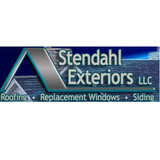 While our company was formed in 2005, the Stendahl name has been attached to roofing for much longer. In fact, our family has been around for generations in the roofing industry. It has been nearly a decade since our company was established, and we still have our original employees. As a family-owned and operated business, we are dedicated to helping other people resolve their roofing issues or improve the aesthetics of their home. Through clear communication and quality work, we are proud to have great working relationships with our customers. JK Contractors, Inc represents 32 years of hands-on application and product knowledge. Our job is to help you make your home reflect your dreams. We will advise you when making your color and product choices. We offer a wide range of quality product options to fit any budget, and we can handle any job from a private residence to a multi-family building. JK Contractors, Inc is a member of the Milwaukee/NARI Home Improvement Council and the Better Business Bureau, and we will gladly furnish references upon request. We do not use subcontractors. All work is done by our President Jeff Kurz and our employees. We take every precaution to see that your landscaping is protected during the home improvement process. Afterwards, there is special care taken during clean up after we’ve completed your project. Our equipment is carefully maintained and only quality tools are used to provide quality workmanship. 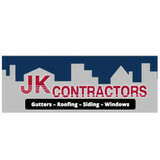 JK Contractors, Inc stands behind and fully warrants our workmanship. We carry Workman’s Compensation and Liability Insurance to protect all parties and property involved in your project. JK Contractors, Inc is your one stop source for quality exterior home improvements. We are the residential seamless gutter experts. Affordable Contracting Services is a full service general contractor specializing in roofing, siding, gutters, windows, custom garages, new construction additions and homes, and more. We are a local family owned business that has been serving the Fox Valley area since 2003. We provide high-quality, energy efficient windows, siding and doors; seamless gutters, gutter guards, custom roofing; and expert installation for all our products. We feature Pro Series Windows from Soft-Lite, 2014 Energy Star Partner of the Year, and insulated vinyl siding from Alside Siding; both provide lifetime transferable warranties. H.I.S. Corporation is dedicated to adding value and beauty to your home or office through superior craftsmanship. Let us outfit your home with a new roof, siding, gutters, windows, insulation, and more. H.I.S. Corporation has been providing high-caliber construction service to you and your neighbors since 1976. With residential, commercial, and industrial services offered, you can be sure that your home or business with be the best on the block. Let our friendly and seasoned crew supply you with all of your construction needs, whether you require roofing and siding, windows and gutters, or anything in-between. Quality construction you can’t wait to come home to. R & T Siding, L.L.C. R & T Siding, L.L.C., has been Watertown, Wisconsin’s siding and exterior contractor. We are committed to providing great service and satisfaction, whether it’s siding, roofing, gutters, storm damage, or more. Our family owned business has been helping the area since 1991. We are fully insured and state licensed. R & T Siding, L.L.C. has superior products and experience to make your contracting decision easy. Call us today! Durable siding and gutters are a must for every local resident. At Wolf Exteriors & Remodeling, our commitment to quality is evident in our work. We have strong professional relationships with quality product manufacturers to give you only the best and most reliable siding and gutter choices. Our professionals can help you with any size of project whether you just need some existing siding repaired or need completely new gutters and siding for a remodeling project. As a family business, we offer competitive prices and unbeatable personalized service. Brincks Exteriors will be your first choice and your last choice. At Brincks Exteriors we strive for quality, customer service, and timely business. Contact us today for all your Roofing, Siding, Window, and Gutter needs. We specalize in all your residential and commercial needs for anything exterior related. Remodel America, Inc. has been the Midwest's premier home improvement company for over 16 years in replacement windows, entry doors, vinyl siding, attic insulation and more. Everything to make your home exterior beautiful. We stay up on the newest trends, materials, and energy efficiencies! City Wide Insulation's long history in the local community dates back more than 30 years. We are active members of the Wisconsin Builders Association. Our installers are safety trained, background checked, and drug tested at employment. With customer service our number-one priority, we offer batt and blown insulation, spray polyurethane foam, wall spray, and blown cellulose. In addition, we install custom seamless gutters (5 and 6-inch) and downspouts, ClosetMaid® wire shelving, Milgard® windows and doors, and Lennox® fireplaces. The siding of your home is a hugely important factor when it comes to first impressions; a damaged or mismatched exterior can cast a negative light over a property’s entire aesthetic! If you need new siding installed, or your exterior is in need of repair, repainting or replacing, a Kohler, WI siding and exterior contractor can help you out. What types of siding services do Kohler exterior contractors provide? Wood siding needs more maintenance than less-expensive, low-maintenance vinyl siding, but with proper care it will outlast vinyl siding, which can fade and crack over time. Your Kohler, WI contractor might also suggest fiber cement siding, which is fire resistant and termite-proof and can come with a warranty of up to 50 years. Find siding and exterior contractors in Kohler, WI on Houzz. Narrow your search in the Professionals section to Kohler, WI siding and exterior contractors. Find out how long a Kohler, WI exterior remodeling contractor has been in business, view portfolios, read reviews and get contact information.